John Whitmer was born August 27, 1802. He was the third son of Peter and Mary Whitmer. John first met Joseph Smith in June 1829 when David Whitmer brought Joseph, Emma, and Oliver Cowdery to the Whitmer homestead in Fayette, New York to complete the translation of the Book of Mormon. He assisted Joseph and Oliver by compiling and transcribing Joseph's revelations. It was at the end of that same month that John was chosen to be one of the Eight Witnesses. He also kept the first history of the church spanning 1831- 1838. In April 1831 he was called as the church's first official historian. That same year he was ordained as a High Priest. He followed the church to Kirtland, Ohio, and assisted members who were being persecuted in Missouri. On February 10, 1833, he married Sarah Jackson, in Jackson County, Missouri. They would have 5 children. 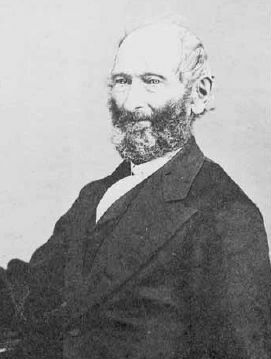 John would act as an assistant president of the church in Missouri. The position would go to his head a bit, though. He began to purchase property for personal use in Missouri using church funds, and tried to run the church in Missouri independent of the High Council. This would eventually lead to his excommunication. John Whitmer was officially excommunicated from the Church by the High Council at Far West, Missouri, March 10, 1838. By this time he owned 100's of acres of land in Caldwell County Missouri. After his ex-communication he left Far West and resided in Richmond, MO, until the Mormons were forced out of Missouri into Illinois. After the Saints' expulsion in 1839 John moved back to Far West where he lived out the remainder of his days as a successful farmer and livestock rancher. John died July 11, 1878, never officially rejoining the church. "There are many things published that they say are true, and again turn around and say they are false?" Whitmer, asked, "Do you hint at me?" Elder Turley said, "If the cap fits you, wear it; all I know is that you have published to the world that an angel did present those plates to Joseph Smith." John replied: "I now say, I handled those plates; there were fine engravings on both sides. I handled them." Then he described in the presence of these bitter enemies how the plates were fastened and he said, "They were shown to me by a supernatural power." That was a pretty gutsy response considering he was associating with people who were out for violence against Joseph Smith and the Mormons. Incidentally, the revelation did happen when and where it was said to have. Read about its fulfillment. The 2nd account came from what was probably John Whitmer's final interview before his death. It's fascinating how all these witnesses who leave the church keep reaffirming their testimonies on their deathbed. What does that tell you? Anyway, this Q&A was published a few weeks after John's death. Q - I am aware that your name is affixed to the testimony in the Book of Mormon that you saw the plates? A - It is so, and that testimony is true. Q - Did you handle the plates with your hands? A - I did so! Q - Then they were a material substance? A - Yes, as material as anything can be. Q - Were they heavy to lift? A - Yes, and as you know gold is a heavy metal: they were very heavy. Q - How big were the leaves? A - So far as I recollect, 8 by 6 or seven inches. Q - Were the leaves thick? A - Yes, just so thick, that characters could be engraven on both sides. Q - How were the leaves joined together? A - In three rings, each one in the shape of a D with the straight line towards the center. Q - In what place did you see the plates? A - In Joseph Smith's house; he had them there. Q - Did you see them covered with a cloth? A - No. He handed them uncovered into our hands, and we turned the leaves sufficient to satisfy us. P. Wilhelm Poulson to the editors of the Deseret News, 31 July 1878, in Deseret News, 6 August 1878.